Karma and his joint family live in a village some 25 kms away from Panipat city. He used to abuse bhang (Cannabis) in his early adolescence and got married at the outset of 20s. After the marriage in search of job he used to make daily up and down to Panipat city . At small factories, new friends and new environment enabled him to explore and experiment with new drugs. He found solace in Injection drugs usage, but he lost his job due to irregular attendance at work and depleting health. At this juncture he happened meet one of the outreach workers of TPF who was in rounds around injecting spots. Disappointed and saddened by the present situation, he becomes daily visitor at TPF Drop In Centre. Recognizing his interest in work, he was appointed as a Peer educator and he was one of the pioneer beneficiaries of Oral Substitution Centre when it started in district hospital. After one year of OST, he decided leave drugs completely. During this period of recovery and relapse, he was appointed as the Peer counselor. Home visits to his house revealed that the family was suffering acute financial crisis and her wife jobless. His family members especially the wife encouraged him to leave drugs completely. His wife was extended with peer progression support through a donour from Germany. 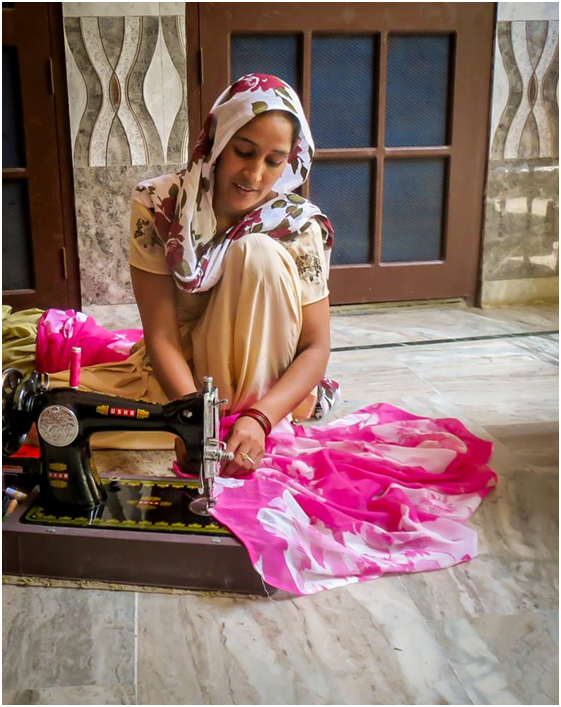 The project sponsored her training in sewing and tailoring for 3 months and later she was provided with a tailoring machine as donation. From the encouragement got from the TPF staff as well as his wife, he decided to undergo detoxification. He got himself admitted in TPF De-addiction Centre. Now he is away from the drugs and his wife is running tailoring centre in his village and he is living a drugs free life and hopeful about the future.